Introduction: SFS Boulevard Apartments, aims to enrich lives by setting new standards for customer centricity, architectural design, quality, and safety. These Residential Apartments in Kochi comes with a view that is unbounded and captivating. Every nook and corner of the SFS Boulevard reflects beauty in its true sense. SFS Boulevard by SFS Homes in Palarivattom ensures privacy and exclusivity to its residents. The ambiance of SFS Boulevard is truly a marvelous sight to behold. SFS Boulevard is one of the best investments in Residential properties in Kochi. The Apartments in SFS Boulevard are strategically constructed keeping in mind the best of architecture both from inside as well as outside. From stylish flooring to spacious balconies, standard kitchen size and high-quality fixtures, every little detail here grants it an attractive look. SFS Boulevard offers beautiful 3 BHK and 4 BHK Apartments in Kochi. 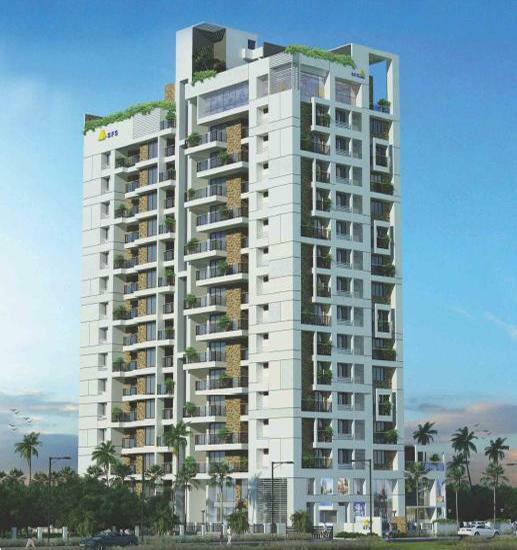 The price of Apartments in Palarivattom is ideal for the home-buyers looking for a property in Kochi. Amenities: SFS Boulevard comprises of a wide array of amenities that include Rain Water Harvesting, Drainage and Sewage Treatment, Lift, Intercom and Yoga, Aerobics and Meditation Room. Location Advantage: The address of SFS Boulevard is well suited for the ones who wants to enjoy a contemporary lifestyle with all the nearby major utilities like schools, colleges, hospitals,supermarts, parks and recreational centers. For three decades, SFS Homes have been fulfilling the dreams of discerning home owners. Redrawing skylines and redefining lifestyles, the company has built an unshakeable reputation of trust. With a legacy of three decades of building apartments, villas and posh gated communities, the company has consistently provided home options of every category and style. SFS Homes are always centrally located. The company is noted for timely delivery of projects, quality construction and dedicated customer service. Superior Quality vitrified /Ceramic tiles. Engineered door frame with molded flush door, Door frames and shutter shall be enamel painted. Concealed wiring with superior quality PVC insulated copper cables, Adequate light, fan, 6/16 Ampere power plug points controlled by ELCB and MCB, Independent Energy meter for each Apartment. 1500 W /flat generator backup for all flats. Power back up for common area. Automatic change over facility will be provided for each flat for the power backup. TV provision in living, kitchen and all bedrooms. Provision to fit centralized Air conditioner VRF type for each apartment. Air conditioner equipment at extra cost. Covered / open car parking at extra cost. Fire Fighting arrangements as per the National Building Code and Kerala Fire Fighting Department Norms. Fire escape stair shall be provided. Acrylic emulsion on putty finish. False ceiling for toilets with matching finish. Combination of premium quality vitrified / Ceramic tiles, mirror and decorative paint. WATER CLOSETS- all bathrooms with western style wall hung EWC. WATER CISTERN FOR EWC- Concealed water cistern -dual flush with wall plate. for wash basin of matching colour shall be provided in toilets. Hot and Cold Water tap provision shall be provided with mixing facility for kitchen sink, all bath mixer taps and wash basin tap. Review of SFS Boulevard, Vennala? Its price, location, builder etc. Review of Sfs Homes , Vennala? construction quality, trustworthy, delivery history etc.? Review of SFS Boulevard, Vennala location? neighbourhood, connectivity, schools etc.? Comparison of SFS Boulevard, Vennala to nearby projects? Is it rightly priced? What is your feedback on this SFS Boulevard, Vennala? Depends on brand name and complete the project in time etc? Will this be a better option for investment or to live in SFS Boulevard, Vennala? Can you give some suggestion? Is the SFS Boulevard, Vennala has more potential in terms of capital appreciation, ROI, Rentals, Proximity to social infrastructure etc?